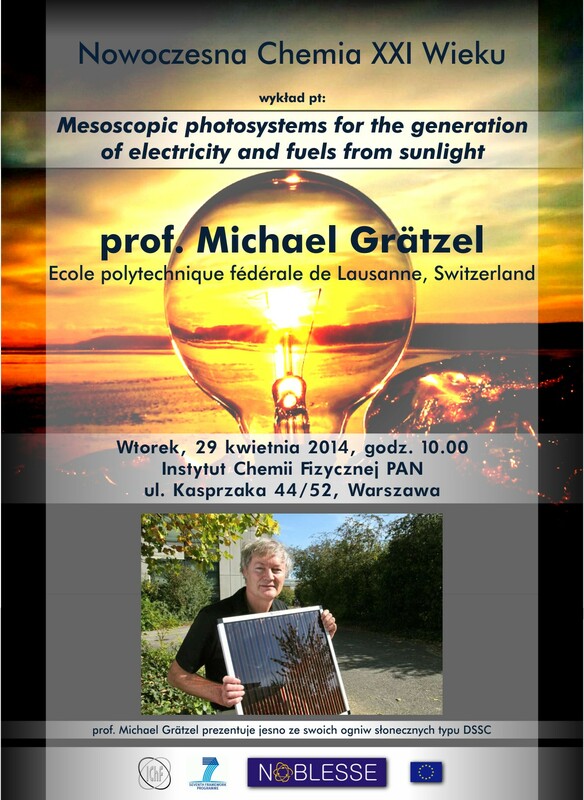 Professor Michael Grätzel was visiting Warsaw between April 27 and 29 for the invitation of Prof. Janusz Lewiński. He was visiting Institute of Physical Chemistry Polish Academy of Sciences thanks to the support of the EU 7th Framework Project “Noblesse”. He gave an open lecture in the lecture hall of IPC PAS (Kasprzaka 44/52, Warsaw) on Tuesday 29 April. After that he visited the laboratories and took part in several discussions.